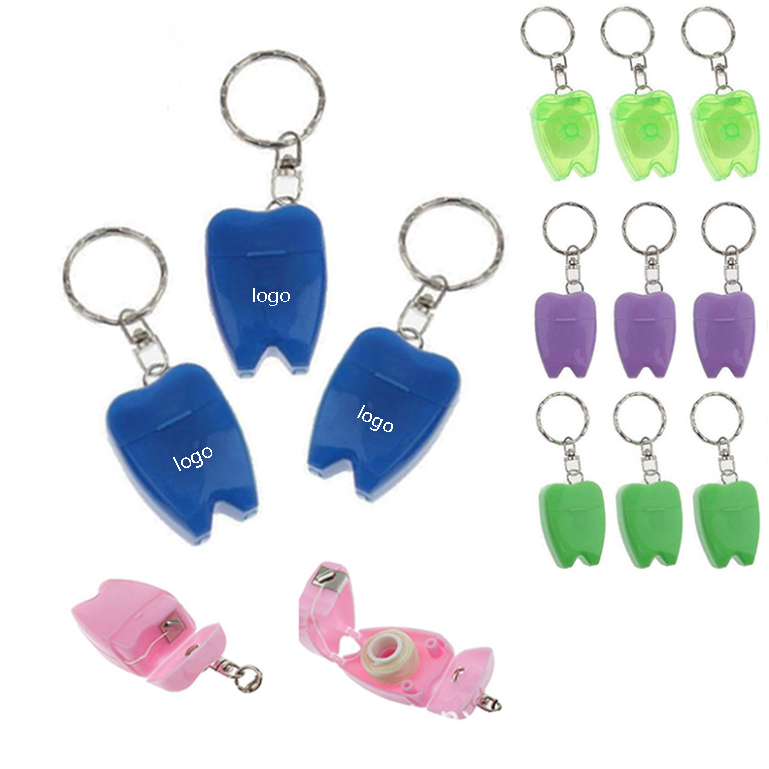 Mini Tooth Dental Floss Keychain with 15M of floss. Promote healthy teeth and gums. This Dental Floss is attached to a keychain, which makes it very easy to take anywhere you go. It includes 15M of floss, and it is perfect a dentist, orthodontic or dental industries. Package: 1 pc/opp bag, 1000 pcs/ctn, 33 lbs/ctn.